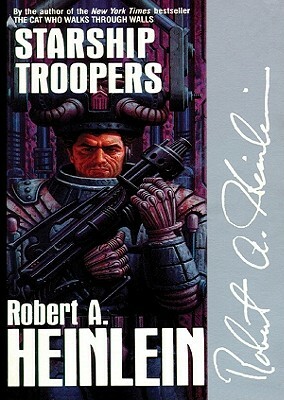 In one of Heinlein's most controversial bestsellers, a recruit in a future world is sent through the toughest boot camp in the Universe to join the Terran Mobile Infantry in battle against mankind's most alarming enemy. Juan Rico signed up with the Federal Reserve on a lark, but despite the hardships and rigorous training, he finds himself determined to make it as a cap trooper. In boot camp he learns how to become a soldier, but it is in war that he will learn why. Many consider this Hugo Award-winning book to be Heinlein's best. Forget the battle scenes and the high-tech weapons; this is Heinlein in his element, talking people and politics.